Bluetooth keyboard. When being at home, typing with REAL keyboard is enjoyable. and my iPhone stand has the reason to take a place on the desk then. Multitasking! It makes a lot of features come true. And yes, Jobs played the trick again: Blamed multitasking in the very beginning and now makes it happen by Apple itself. VOIP. Skype can run in background and receive calls. Not sure if it's available in 3G network as previous rumor said. Hope for the best. Besides above, there are more like iBooks (No wonder why stanza has been forced to remove the USB transfer function). Same as before, a lot of figures were used to prove the improvement of Apple products and the whole business. iAd, the fist of Apple on mobile advertising market. It really hurts to the other ad OPs. iAd shows off the ad in a different way (well, first of all, you have to make contents special). iPhone not just benefit from hardware for long, and now this new business adds new value to Apple stocks. For multitasking, no need to use a task manager to close the applications, means system takes care of it by itself. If it's working well, really user friendly. 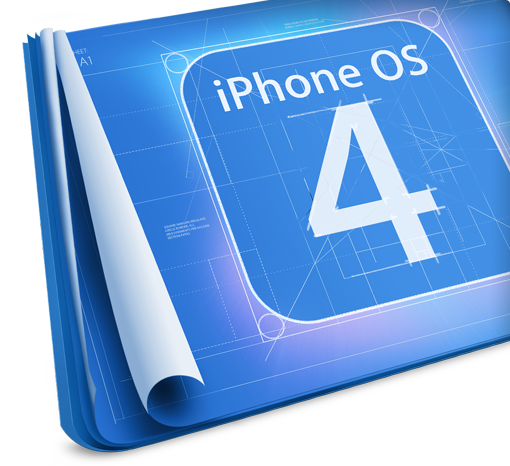 OS 4 comes this summer.